the person trying to help doesn’t have access to the written code. He/She has to rewrite the code shown in image to debug which no one would do for sure. 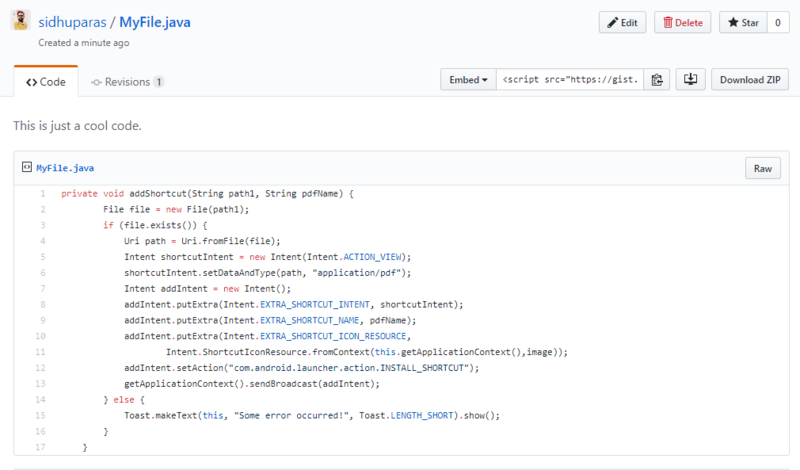 Gist has made it super-easy for all the programmers to share their code with others. 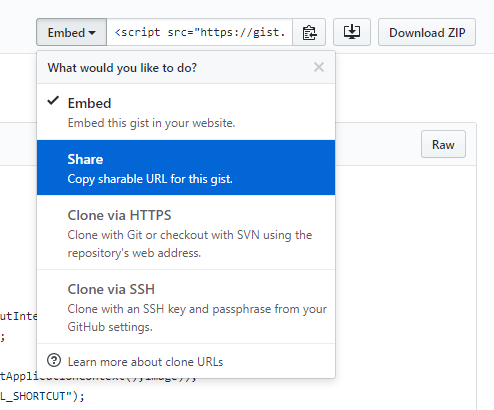 You just copy-paste code from your IDE and paste in the online service and it generates a link which you can share with others. That’s it! 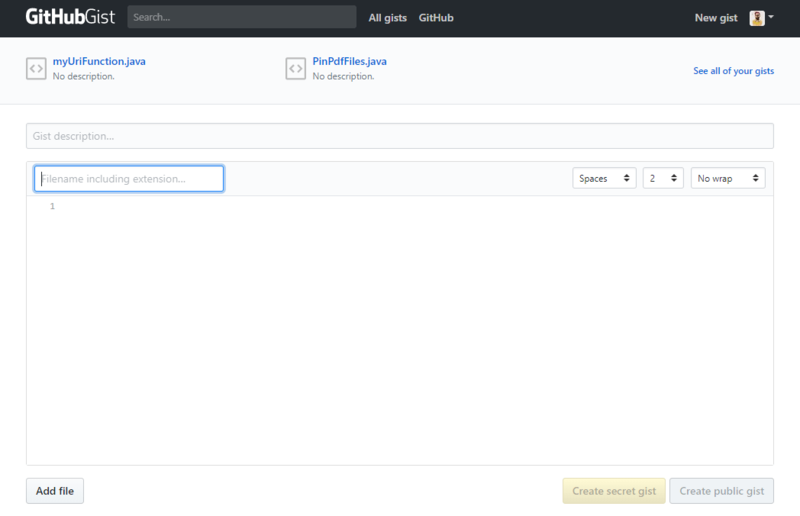 Now go to GitHub Gist. 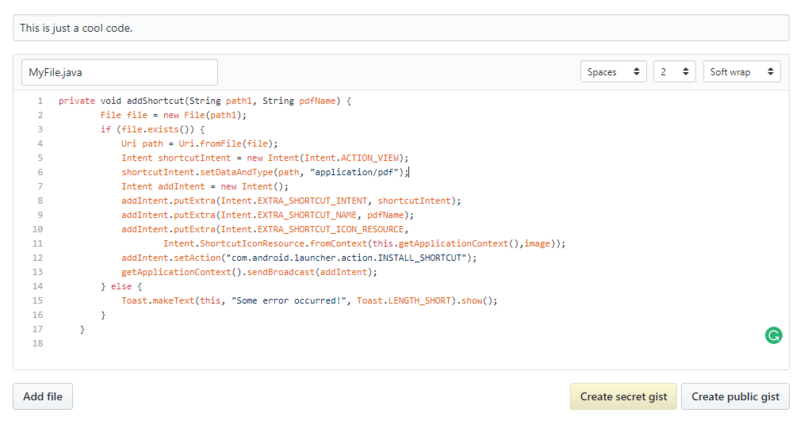 Now you can see that it provides you with lots of options to customize your code look. First, you need to provide file name with extension. By extension, it determines in which language the code has been written in. For example, if you write MyFile.java, it will know that the code is in Java. Once it figures out the language, it can do proper code formatting. You can see proper Code Highlighting according to the language. The Revisions tab will show you how you edited the file throughout its history if any. For now, there’s no revision since we’ve just created it. Now just click on Embed drop-down menu as shown in the screenshot and choose an option to Share. It will give you the sharable link which you can share with others and help others debug the code easily. To check my just created gist, click here. To read more about gists, here’s an official article. Don’t forget to share your views about this article.